The museums and galleries have been selected to take part in the Royal Society grant scheme which provides funding of up to £3,000 for exhibitions and events which reveal local stories of scientific brilliance. Those projects receiving funding from the Royal Society Local Heroes scheme will develop and unearth the stories of scientists from across the ages – from pioneers of the industrial age, to intrepid Victorian dinosaur hunters and the discoverers of Polythene- an invention that changed the world. These include the story of pioneering astronomer Andre Claude de la Crommelin at Ballymoney Museum County Antrim, Northern Ireland. De la Crommelin, known as the Comet Man, was an expert on comets and has one named after him and his research on a solar eclipse in 1919 helped provide confirmation of Einstein’s Theory of Relativity proposed three years earlier. And The Atkinson, Merseyside celebrates the artistic skill Bessie Downes, born in 1860, who painted watercolours of botanical specimens, leaving an important record of the plant life present on the Sefton Coast by date and location. First run during the Royal Society’s 350th anniversary celebrations in 2010, the Local Heroes scheme ran for a year and funded 50 galleries, museums, archives and libraries to run scientific and cultural events which ran across the country covering all areas of science. The Royal Society has been the home to many of the country’s most brilliant scientists including from its earliest days, Isaac Newton and more recently Stephen Hawking. Kendal Museum is celebrating the work of Adam Sedgwick, one of the great geologists of the 19th century. His lasting legacy includes his surveys of the complicated geology of Lakeland – an important area for quarries and mining. John Eliot Howard FRS (1807-1883) pioneered work in the development of quinine against malaria. Bruce Castle Museum, close to Eliot Howard’s home, are creating a hands-on exhibition and will host community events to tell of the achievements of their local hero. Doncaster Museum & Art Gallery are celebrating a modern day local hero. Doncaster born 26 year old Dean Lomax is a palaeontologist and honorary scientist at the University of Manchester. 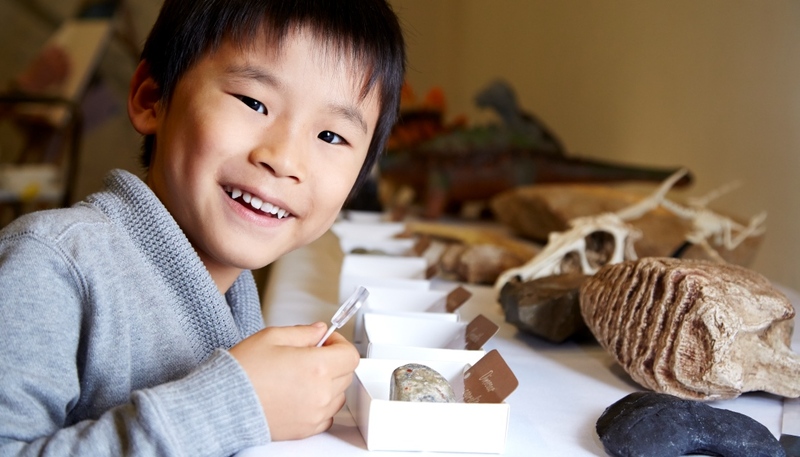 The Museum is planning a series of events, including an opportunity for children to go on a fossil hunt with dinosaur expert Dean and get inspired by a career in science. Berwick Museum and Art Gallery highlight the flourishing scientific community in the borders between Berwick & Edinburgh in the first half of the 19th century. The Museum will celebrate five eminent scientists of the region, including Mary Somerville: astronomer, mathematician and polymath. A local Merseyside museum celebrates the artistic skill of Bessie Downes. Born in 1860, Bessie painted watercolours of botanical specimens, leaving an important record of the plant life present on the Sefton Coast by date and location. Born in Orkney in 1800, Rev. Dr Charles Clouston was a true local hero. He had broad scientific expertise in natural history, archaeology, geology and meteorology. Orkney Natural History Society is celebrating his life and work. The oldest independent museum in Wales will share the story of William Lyons, whose collection of shells was of “great scientific and historic interest” both locally and nationally. Volunteers will work with the community and local schools to research and reveal Lyons life and work. A local chapel and museum in Englesea celebrates the legacy of Hugh Bourne, co-founder of the Primitive Methodist Church and self-educated railway pioneer and passionate educator. The McLean Museum in Greenock, Scotland celebrate inventor and engineer, James Watt (1736 – 1819). Famous for his leading role in the industrial revolution, in retirement Watt also invented machines for copying 3D sculptures and medallions. The McLean Museum will use modern 3D printing techniques to bring his legacy to life. Lawrence House Museum in Cornwall share the story of John Couch Adams, a local hero who co-discovered the existence of Neptune through calculations made whilst studying the moons around Uranus. Adams was also known for his interest in the mountains on the moon, comparing them to the hills of Bodmin Moor! Two museums in the highlands delve into the work of Hugh Miller (1802-1856), citizen scientist and observational polymath, and George John Romanes (1848-1894), an early animal behaviour expert. Summerlee Museum of Scottish Industrial Life will tell the story of iron production in the area and celebrate the local pioneers of the industrial age and share the areas rich scientific history with schools across the region. West Cheshire Museums unearths the story of polythene. The discovery made in the 1930s had a significant impact not just on the local area but worldwide. West Cheshire Museums project will share with the community the historic local significance of the discovery of polythene whilst exploring the contemporary environmental issues around the use of polythene and its significance in everyday life. Ballymoney Museum in County Atrim tells the tale of comet man Andre Claude de la Crommelin (1865-1939). The Museum will host stargazing events and give the local community the opportunity to experience astronomy. The Dinosaur Isle Museum celebrate the forgotten story of the Reverend William Fox (1813-1881) – Victorian dinosaur hunter. The Museum will take visitors off the beaten track on self-guided tours around the area which will bring Fox’s extraordinary fossil hunting to life. The ultimate news, product and opinion resource for museum, gallery, cultural and heritage visitor attraction professionals. Celebrating the very best within museums, galleries and heritage visitor attractions for over 10 years. The UK’s largest free to attend annual trade exhibition for museums, galleries, cultural and heritage visitor attractions.